A single Twitter employee took down the president of the United States, at least for 11 minutes. 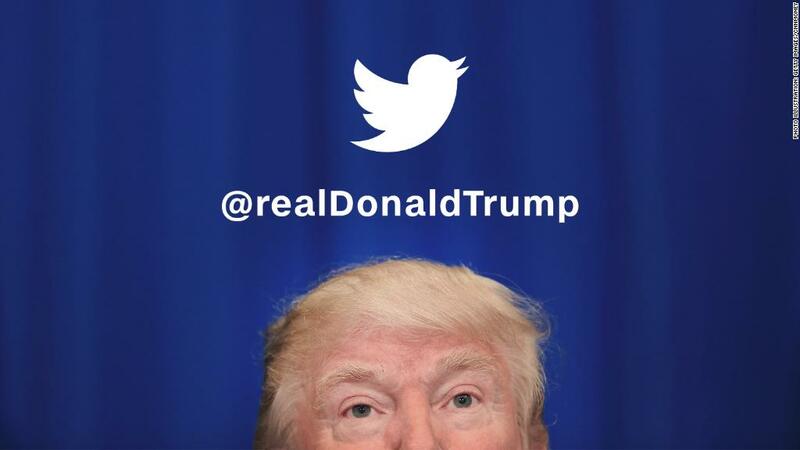 President Trump's Twitter account briefly went offline Thursday night. Twitter (TWTR) later said it was deactivated by a customer support employee on his or her last day at the company. The incident has raised concerns about whether random Twitter employees have the power not just to suspend the president's account, but also take it over. Twitter declined to comment beyond its tweets on the incident released Thursday. A source close to Twitter told CNN that this particular employee would not have had the ability to access or tweet from another user's account. It's unclear if the employee in question was full-time or not. The New York Times reported Friday that the person was a contractor. Twitter did not return requests for comment on the Times story. In a tweet on Friday, Twitter said it has "implemented safeguards to prevent this from happening again" and was conducting a "full" review of the incident. Multiple former Twitter employees threw cold water on the notion that random staffers could post from Trump's account, or any other. "Nobody can tweet from those accounts," a former Twitter executive told CNN. A former Twitter engineer, who also spoke on condition of anonymity, called it "highly unlikely" that a Twitter employee could get access to Trump's account, but noted it was theoretically possible, at least as of a couple years ago. Any access would need to be logged, however, especially for a VIP account. As for checking direct messages employees would need to get legal permissions. The source close to Twitter said the company regularly updates and improves its security measures, and cautioned against assuming that what was true two years ago remains true today. According to another former Twitter employee, additional controls were put on Trump's account after the election. Twitter tightened the circle of people who could access it. A former consultant for Twitter told CNN that employees who review accounts for abuse typically have the power to suspend users. The consultant said that many of these employees tend to be relatively junior — a common practice across social media firms. There's "just a tool that naturally a small group of people for safety and abuse and hacking etc have access to that got abused by one person for eleven minutes," the former Twitter executive told CNN. When CNN asked if some VIP accounts require greater clearance to suspend or remove than others, another former Twitter executive replied: "You'd think," followed by a sad face emoji. -- CNN's Samuel Burke and Laurie Segall contributed to this report.